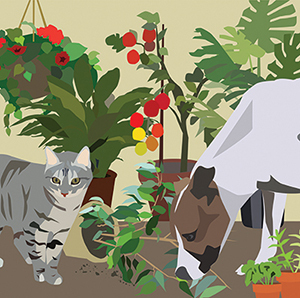 Join Coastal Humane Society and Lincoln County Animal Shelter for our 16th Annual Plant Sale! On Saturday, May 19 from 8 am-2 pm, get everything you need for your garden this spring: annuals, perennials, hanging baskets, vegetables, herbs, shrubs, trees, and more. All proceeds benefit our animal guests! *Rain date of May 20 from 8 am-2 pm.